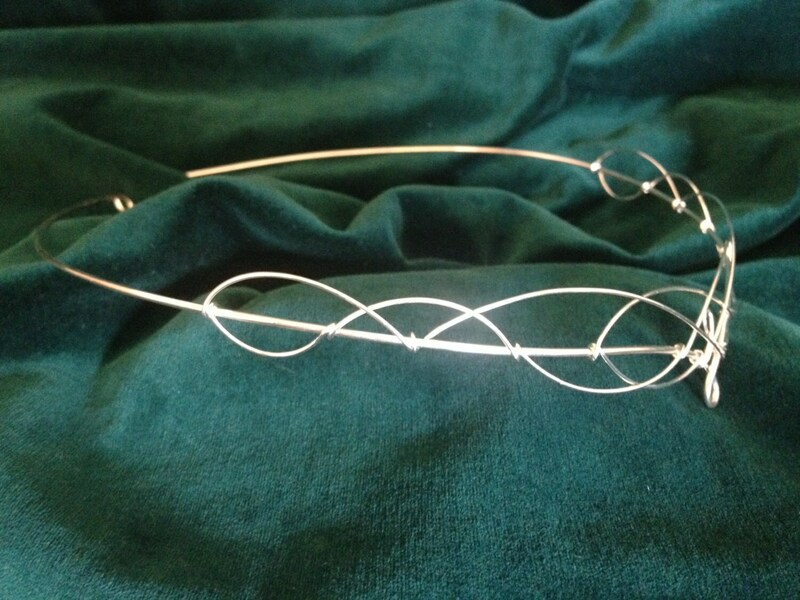 SIlver Elven Circlet. 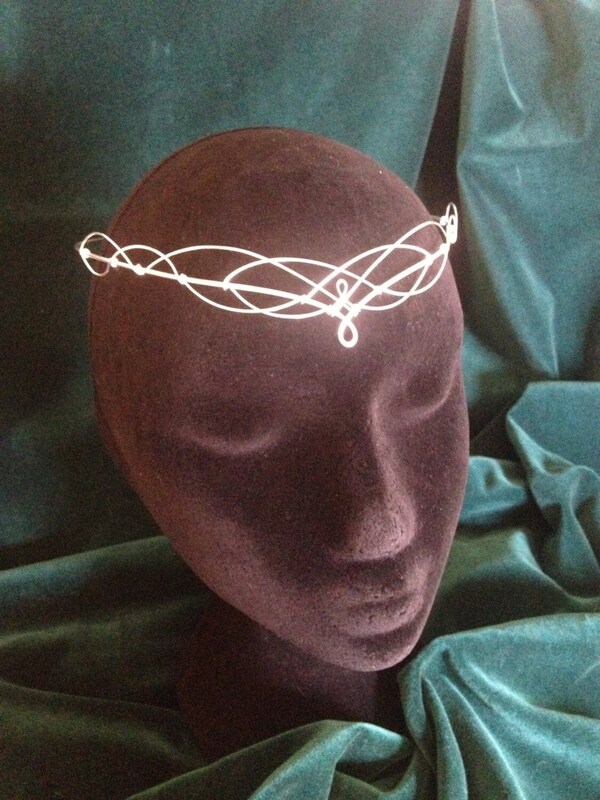 Beautiful handmade silver plated circlet crafted from just two lengths of wire emulating traditional Celtic knotwork. A beautifully simple design with no beads or crystals, understated yet a statement piece for a unique wedding. Designed to be worn on the forehead. The circlet is open at the back with loops for ribbon or cords to be attached to hold the circlet in place. It can also be pinned into place if preferred. The circlet is sturdy yet flexible and very comfortable to wear. 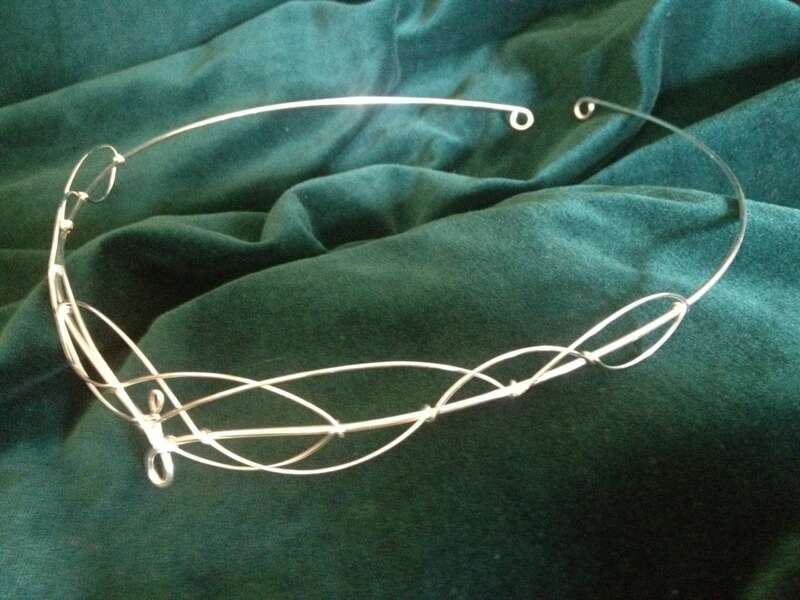 The design part of the circlet measures 21.5cms (8 and a half inches) across and 2.5cms (1 inch) from top to bottom at the centre. The full circumference of the circlet is 52cms (20 and a half inches). 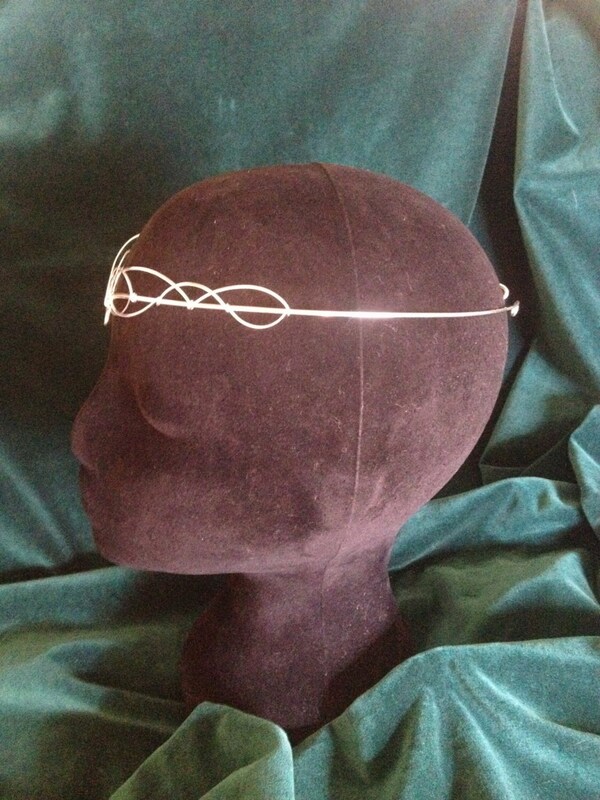 This circlet is perfect for weddings, re-enactment, elven, faerie, or pagan ceremonies. Beautiful item, I love it ! :) Thank you so much ! 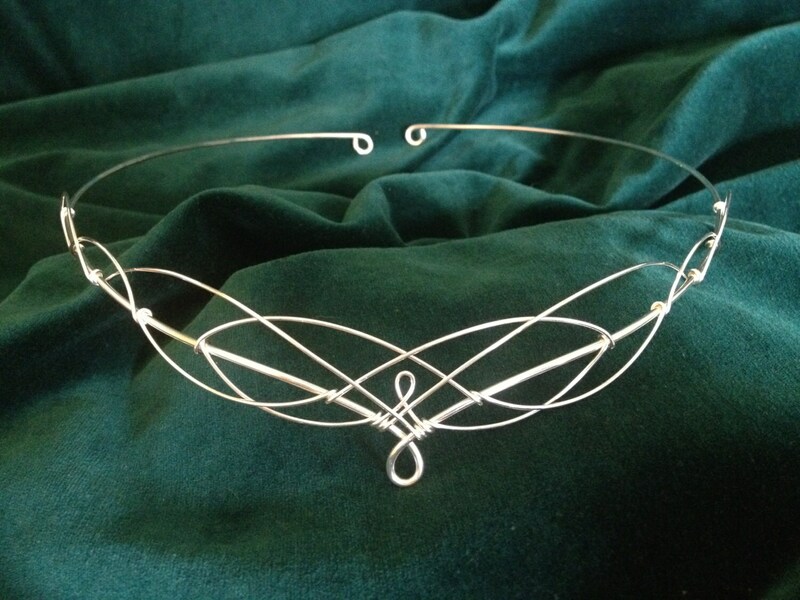 Really pretty circlet and looks gorgeous to wear. Thank you for such lovely work. Beautifully made, light and delicate.